I tend to be wary of Early Access games—having been burned by them many times in the past—but when I heard about a game trying to be Super Smash Bros. for the PC, I needed to give it a try. Brawlhalla does a lot of things differently from Smash Bros., which helps it stand on its own two feet, and the fighting is a surprisingly complete experience for an Early Access title. 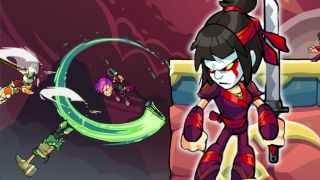 There's a lot of room for Brawlhalla to grow, but it's already a fun—if unpolished—couch beat-em-up. Watch the video for my first impressions.